After a days of auditions the X-factor in Malta has reached its Bootcamp phase. A total of 120 contestants will perform again in order to move on the next round. 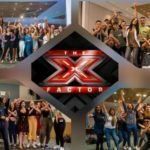 The Maltese X-factor is over with the auditions and moves into the Bootcamp round with 120 remaining candidates. 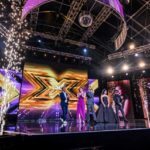 This year the X factor will be the process through which Malta will determine its next Eurovision act. In the First Phase, we will see the contestants perform songs acapella. The number of contestants will be shortlisted by 30 acts. In the Second phase, the candidates will perform a song assigned to them. After the judges will announce to each contestant in a special Waiting Room, whether they pass or not to the next round. In the third and last phase, the qualifiers will perform a song of their choice. This phase will conclude in a total of 12 acts in each catergory. All these act will see them compete again in the Chair Challenge round that follows. In the last decade Malta’s best placing was in 2013 at the Eurovision in Malmo where Gianluca and his entry Tomorrow achieved a 8th placing in the final, while the last time it qualified to the final was in 2016 with Ira Losco and Walk On Water. This year the country was represented by Christabelle and her song Taboo, which failed to qualify to the final finishing 13th in the second semi final.